Watchscapes: High Resolution Photography by Peter Chong: Canon ipF6350 Review: Part III: paper error? The previous installment of this review...which is turning out to be a long term review, I said I would discuss the colour reproduction with various papera and canvas. But before I go to that topic, I encountered the first error ever with the printer. I was printing on the Hahnemulle Ultra Smooth Photo Rag 305g paper...quite a nice matt finish paper...I really like the texture and feel of the paper. And the brilliance it imparts on the prints. Especially the whites, which are very nice. 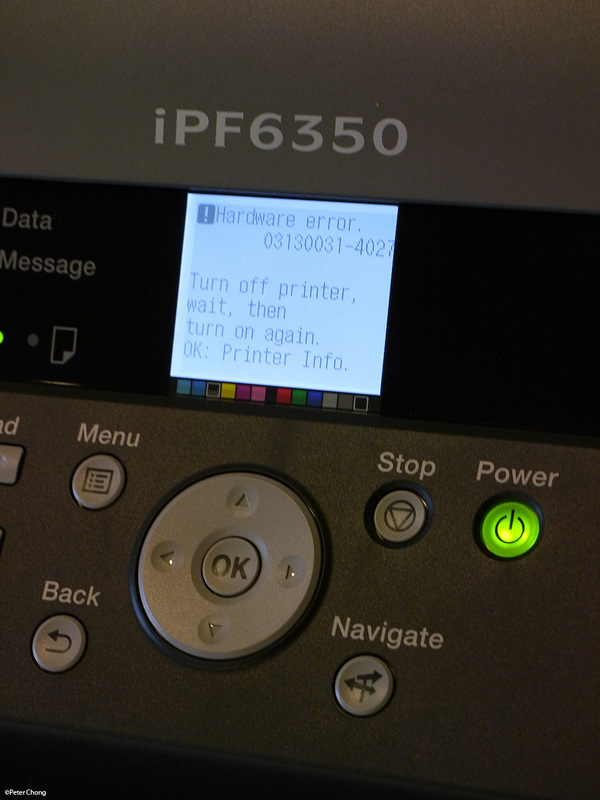 But I digress...when the printer stalled, with the above message. And my print was stuck! Fortunately, the print has just completed, but it could not be removed from the printer. 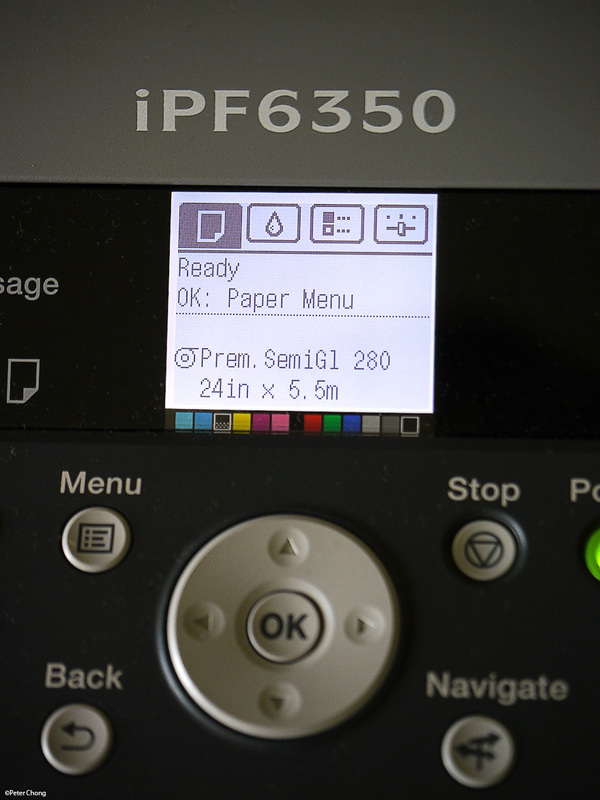 The iPF6350 employs a vacuum system to hold the paper in place, so it can be precisely aligned for accurate printing. The vacuum system would not let up. Opening the cover of the roll paper loader revealed the problem. The paper had finished from the roll, and was being pulled out of the roll, but somehow the cellophane tape holding the last bits of the paper to the roll hung on. 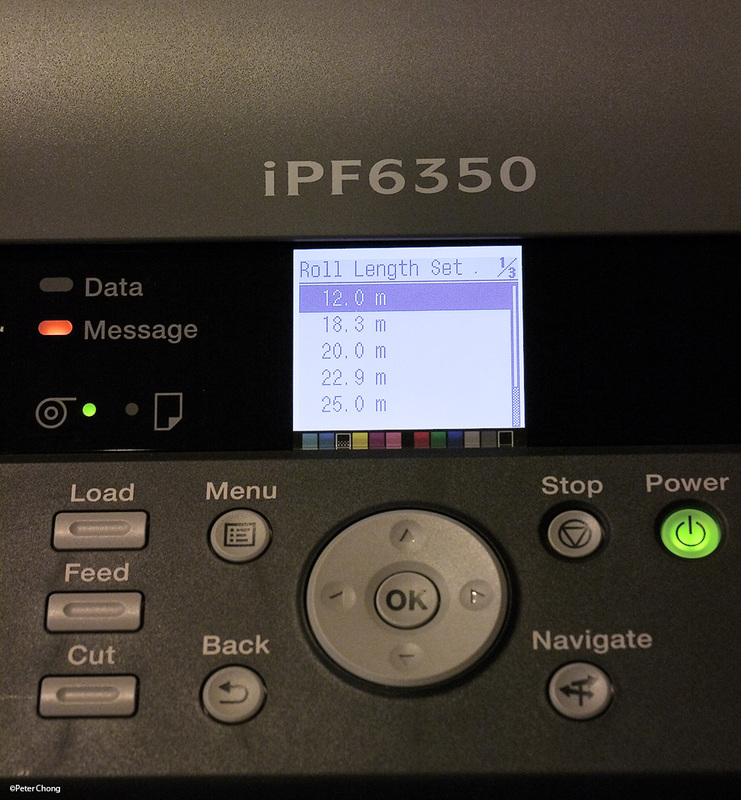 The printer, sensing increased tension in the paper path, called an alert. The instructions on the LCD panel told me to unplug and restart. Powering off the printer and restarting would not work. Even though the printer went through the startup routine. I pulled plug, waited for a while, and then gently pulled the paper out of the roll, breaking the cellophane tape. After a minute or so, to allow the vacuum to bleed off. I restarted the system, and it did power up. 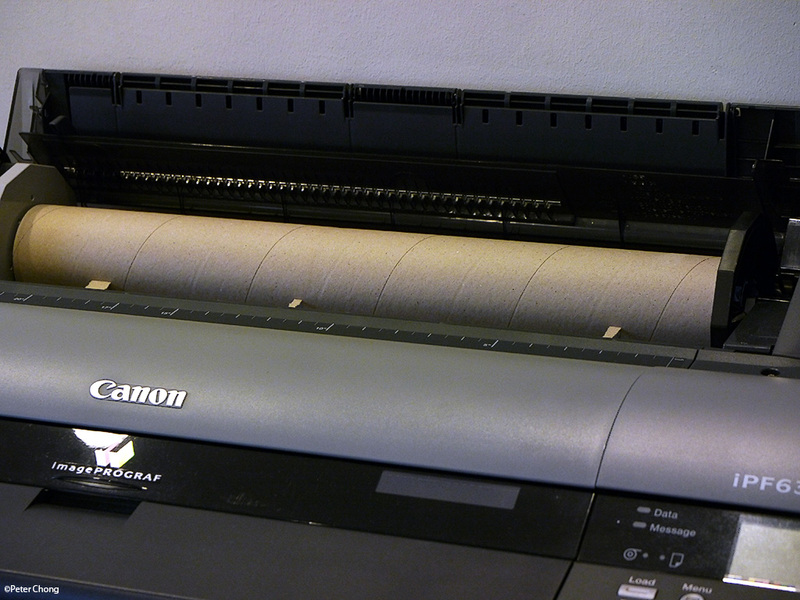 On reflection, this is certainly my fault, as the printer features a roll paper length management system, where the length of the roll is fed into the printer by the operator when changing a new roll. Here you see the feed indicator. I was loading a 12m roll of art canvas. 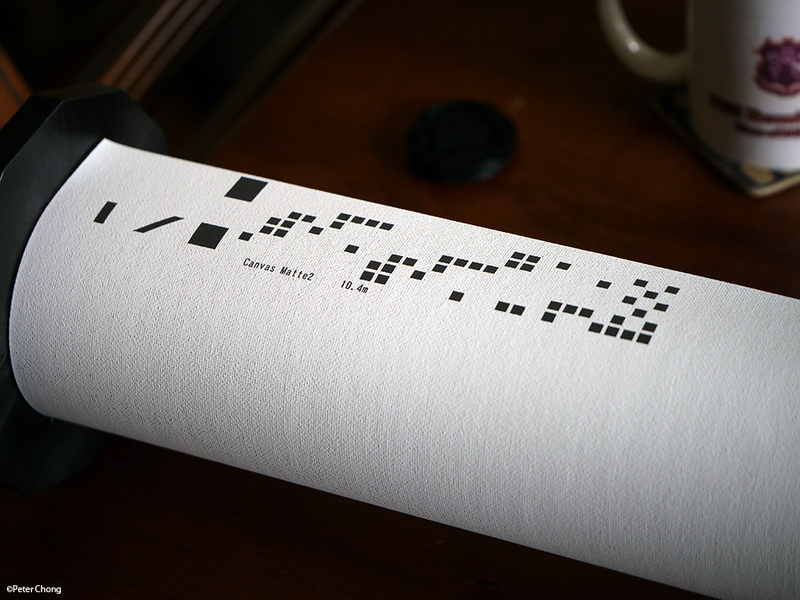 And if you change paper mid-roll, the printer prints a barcode and a human readable tag with the setting on the printer when the roll was ejected, so when the roll is re-inserted, the printer knows how much is left in the roll, and this is displayed on the printer's home menu. Home panel showing the paper loaded, and length left. 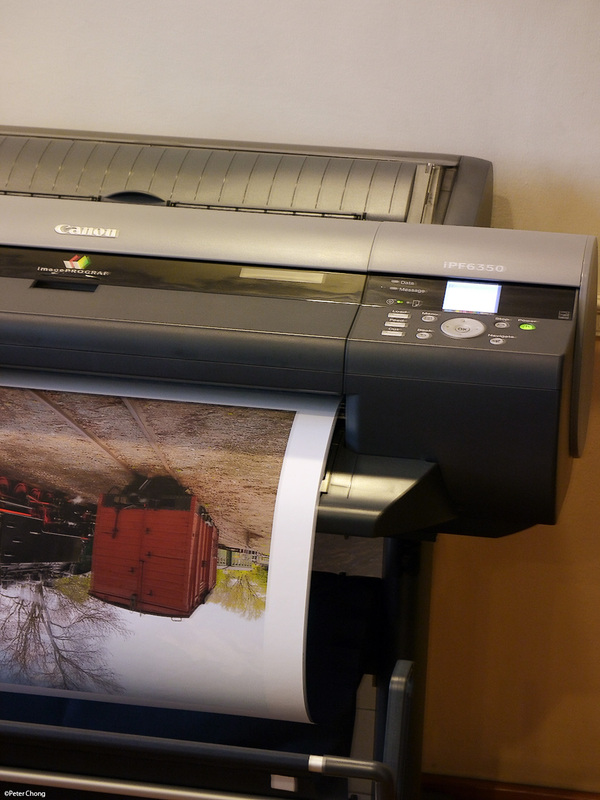 Perhaps an interlock system between the printer and the Photoshop Plug-in to prevent printing when the roll is insufficient for the print is a possible improvement Canon can do for the printer.